Yevgeniy Roizman, a public activist from the Urals city of Yekaterinburg known for his controversial practice of forced treatment for drug addicts, has joined the Right Cause political party after personal talks with its leader Mikhail Prokhorov. The news about Roizman’s decision to join the Right Cause was first announced by Mikhail Prokhorov on his blog. 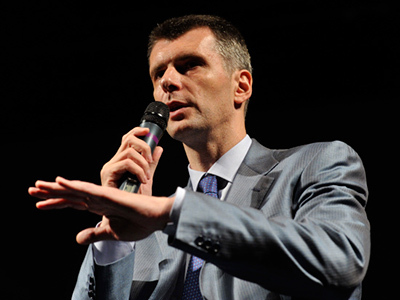 Prokhorov, one of Russia’s richest businessmen who has only recently decided to enter politics, almost immediately became the head of Right Cause – a small but previously established political party, formed in 2008 as a successor to the market-oriented Union of Right Forces, the Democratic Party of Russia and the Civil Power party. 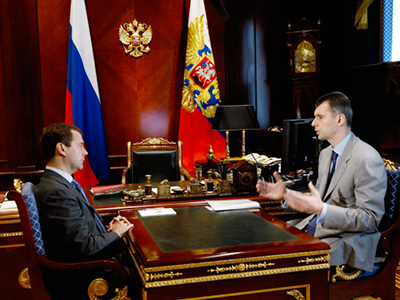 After becoming the head of the party, Prokhorov announced that the Right Cause must become the second largest faction in the Lower House after United Russia, and for this he planned to attract figures who could form a shadow government. Roizman confirmed the decision to join the Right Cause on Friday after posting a poll on his blog in which he asked for advice from its readers. His blog is very popular in Russia due to Roizman’s strong and open stance against illegal drugs. In fact, Roizman’s anti-drug policies go beyond the blogosphere, as he runs the semi-official organization ‘City Without Drugs’, which specializes in the treatment of drug addicts. Roizman and his activists claim that they only admit those who voluntary asks for treatment, but the process involves isolation (accomplished by chaining the patients to their beds in a barracks). Due to their methods, the foundation has been criticized by bloggers and the media alike. In 2010, a court in Sverdlovsk Region qualified such treatment as abduction, and one of Roizman’s aides received a two year suspended sentence, though the foundation continues to operate. Roizman wrote that he had received offers from other political forces, including United Russia’s Popular Front, but declined them all as he “has not charged himself with the task of getting into the State Duma by any means”. He also praised Prokhorov for being “a completely different person, thoughtful and interested” adding that Prokhorov promised not to give in to pressure if the authorities ask him to remove Roizman from the party’s ticket. 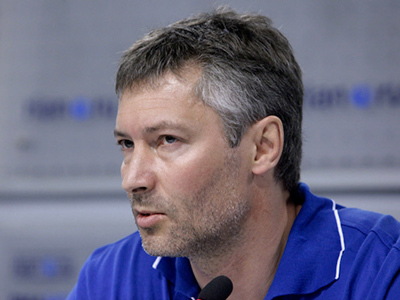 Roizman already has some experience in politics, as he was elected to the State Duma in 2003 as an independent candidate and later joined the Fair Russia party to run in the 2007 election on the party’s ticket. However, Fair Russia removed Roizman from the list before the elections, which prompted his leaving the party in October 2007. He would go on to concentrate on his well-known anti-drug activities. According to unconfirmed reports, apart from Roizman, Prokhorov managed to attract Aleksandr Lyubimov to the party, the first deputy general director of the All-Russian State Television and Radio Broadcasting Corporation. Lyubimov is a veteran of modern journalism in Russia as well as a fairly popular figure. His prominent position in the media might also prove beneficial to the party in the forthcoming elections campaign. Lyubimov also has some parliamentary experience – he was elected to the Soviet of People’s Deputies of the Russian Federal Soviet Socialist Republic in 1990 and spent one term in the Soviet of Nationalities – the upper house of the Soviet Union’s legislative assembly.